We will customise the booking to suit your needs. Please enquire with us to create Mustang Magic. first class, friendly, and focused on service. 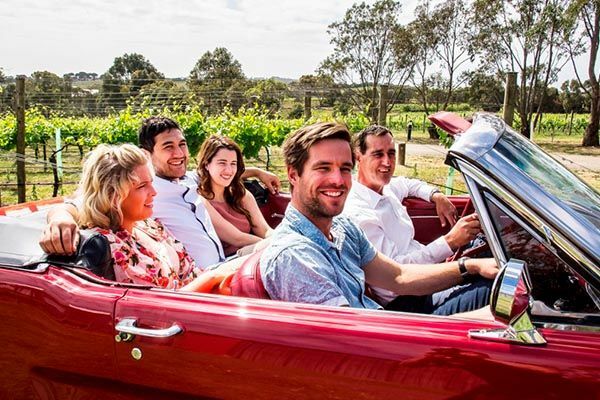 If it is your Wedding Day, or your first time visiting Geelong, Bellarine, and the Great Ocean Road, we can make the event special and exciting. Our chauffeur driven service is first class, friendly, and focused on service. 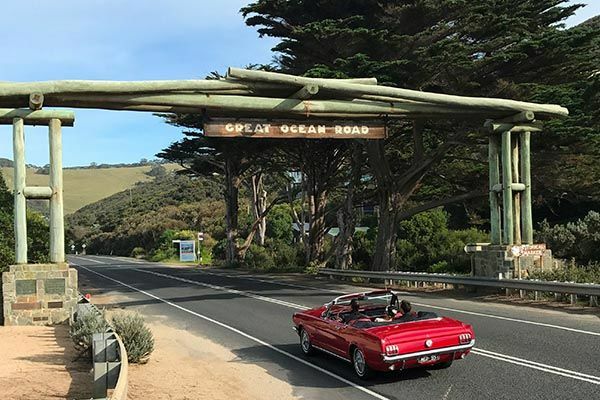 Our Mustang is a gorgeous 1966 red convertible, which can seat four adult passengers. 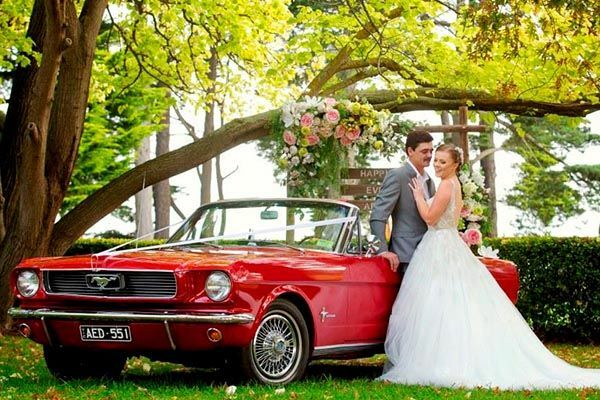 We can organise to co-ordinate with other Mustangs for bridal parties. 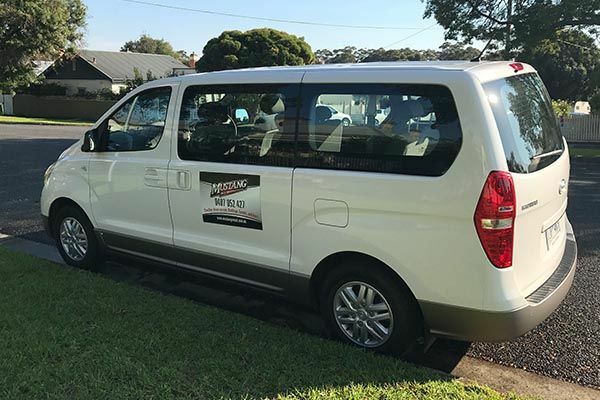 We also have mini buses or Mustang Movers to cater for larger groups and winery tours are our specialty.